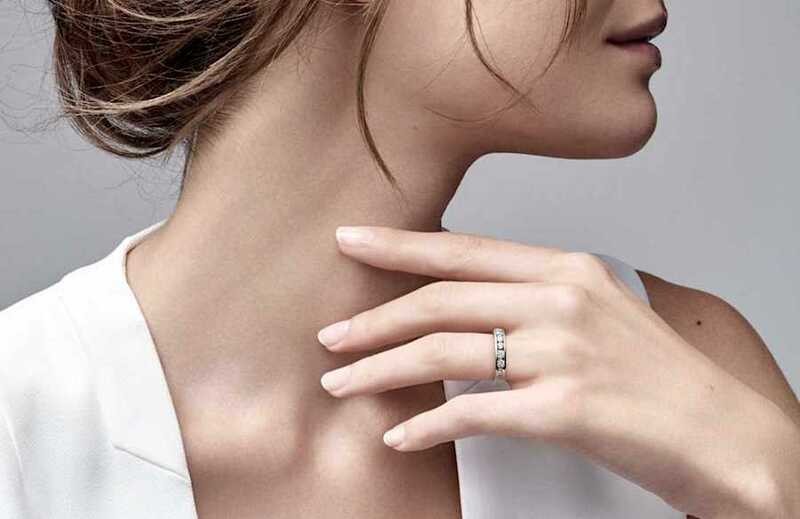 World famous jeweller Tiffany & Company has launched an initiative to provide greater transparency about the origins of its diamonds to customers, from miners to retailers. Following in the footsteps of the world’s No. 1 diamond miner, De Beers, which is testing a blockchain technology-based platform aimed at clearing the supply chain of imposters and conflict diamonds, Tiffany has begun tracing each of its individually registered diamonds (0.18 carats and larger) by a unique serial number. The “Diamond Source Initiative” identifies for customers the country where diamonds were mined, and, eventually, will also include information on where they were cut, polished and set. The digits, etched by laser and invisible to the naked eye, provide consumers with the exact provenance and country of origin for the diamonds they are acquiring. By 2020, the New York-based jeweller plans to add further information about the "craftsmanship" journey of its precious gems, such as the cutting and polishing workshop location. The program, known as the “Diamond Source Initiative”, is part of jewellers’ efforts to attract younger shoppers, for whom the issue of sourcing is a key factor in decision making. "Diamonds, formed up to three billion years ago and brought to the earth's surface by a miracle of nature, are symbols of the most important moments in our lives," Tiffany CEO Alessandro Bogliolo said in a statement. "There should be nothing opaque about Tiffany diamonds." Despite the establishment of the Kimberley Process in 2003, aimed at removing conflict diamonds from the supply chain, experts say trafficking of precious rocks is still ongoing. While Tiffany controls most of the process that readies its diamonds for display cases, it buys its roughs from suppliers with various mines. The country-of-origin information comes from those companies and does not link diamonds to specific mining operations. That’s why, in cases where a precious stone's provenance is unknown, such as with those that pre-date initiative, Tiffany will be able to certify they were mined in countries known for having ethical practices, such as Canada, Botswana, Namibia and South Africa. Going forward, polished diamonds will be required to comply with Tiffany's “Diamond Source Warranty Protocol”, which restricts sourcing to countries that do not present diamond-related human rights concerns. “Tiffany & Co has long been committed to diamond traceability and going above and beyond industry norms to promote the protection of the environment and human rights," said chief sustainability officer Anisa Kamadoli Costa. "A transparent journey of responsible sourcing reflects the many positive and far-reaching benefits along every step of the diamond supply chain." In 2017, Tiffany & Co. sold more than $500 million worth of diamond engagement rings.